Were you the kid with nosebleeds? You weren’t bothered at all. How could you be? Your nose was streaming with the red stuff at any given moment. No, it wasn’t the scene of a massacre… just a nosebleed at a very unfortunate time! You had to be prepared at all times. 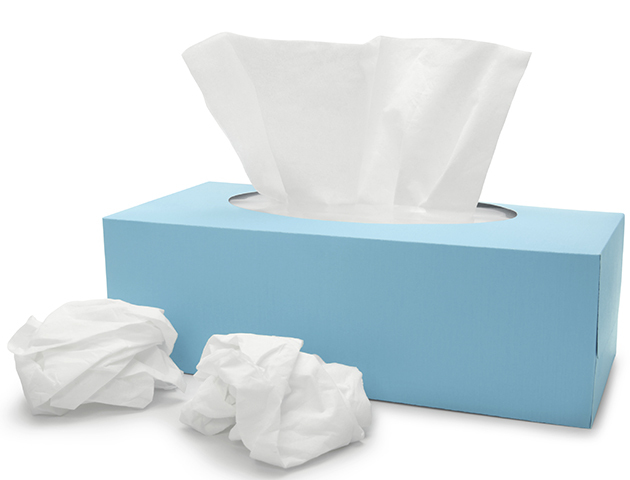 You still carry tissues around with you, just in case! If someone didn’t know who you were, it was the way you were described. You know, the girl with curly brown hair and nosebleeds… For the record, we didn’t get them because we picked our noses! You were supposed to hold your head back, then you absolutely weren’t supposed to hold your head back… aggghh! I’m bleeding and people are just shouting different instructions at me, it’s not helping. If your nose was running it made you think that you were having a nosebleed. It still has that effect on you now, even though it’s been years and years since you suffered. Switching between hot and cold always made you a bit tense. It was prime nosebleed territory and you knew it! Some of your favourite clothes were ruined by overwashing in an attempt to get rid of those nasty red spots!